Grand Rapids Label » Does your product get lost on the shelf? Packaging labels can help! Does your product get lost on the shelf? Packaging labels can help! 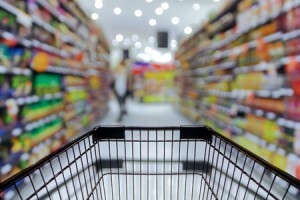 The average grocery store carries between 40,000 and 50,000 products. Regardless of the type of product you manufacture, that’s a whole lot of competition. If you want customers to select your item over thousands of others, you need to be able to stand out. While it would be nice if you could send your own marketing team to every retail location, that isn’t always feasible or possible. What’s a business owner to do? Invest in new product packaging and packaging labels, of course! Here at Grand Rapids Label, we’re passionate about assisting our customers however we can. Over the years, we’ve learned that eye-catching, attractive packaging and labels are the key to retail success. Our innovative printing capabilities allow us to design and manufacture prints you won’t find anywhere else. Additionally, we offer special die cutting to match the exact shape and size of your product containers.